Don’t be imprisoned by your own fears, trapped in a world where you feel that you don’t have the strength to stand on your own two feet and make decisions for your life or charter a course for your happiness. Be proactive, be a doer and a go getter. Nothing is impossible. I hope you all had a happy International Women’s Day. There is nothing you can’t do if you are determined! It is amazing how quickly time goes by. This October will be eight years since I started this blog. I have not always been consistent but I am proud of the fact that I am still here. I have noticed that quite a few bloggers I used to interact with when I started out are no longer around but I have met some new people along the way. I am making a few small changes to the blog. I will be doing book reviews posting inspirational quotes and keep abreast of current news stories. My goal is blog, and interact with you all in 2019. Let’s make this a fun and exciting year. Happy Blogging! It is sad the way we as humans treat one another. The lack of respect for human life is having devastating effects all around the world. People take the lives of others with no thought of the pain they cause and the problem is the good people die while the evil ones live. Let us be our brother’s keeper. Let us look out for each other for no one is immune from the danger of those who come to plunder and kill. Last week my hometown lost one of its best, a man who spent his entire life serving his community. He was a gentle soul, a kind hearted person who people could go to for help. His death has left a huge void. My prayer is that his murderer will be brought to justice. Any time you see a turtle up on top of a fence you know it got some help. Years ago when I was much younger reading was my favorite hobby. However I have found myself reading less and less. This year I plan step up on my reading. My goal is to read at least 12 books this year. I consider one book a month an attainable goal considering that there was a time when I was reading a book a day or every two days. 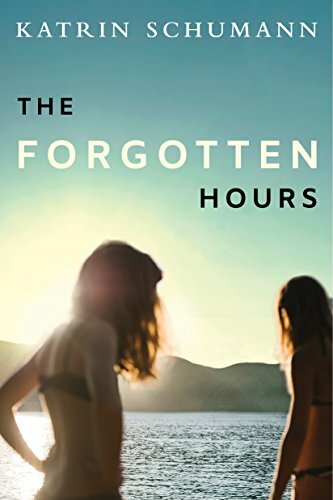 My first book which I already started reading is THE FORGOTTEN HOURS by Katrin Schumann. I don’t know much about this author but I will give you my feedback on the book when I am through. You want to achieve success but if you keep doing the same things and keep getting the same results it is time to make changes. Some people fear change but often it is necessary to achieve success. So don’t be afraid of change embrace it. So many of us make New Year Resolutions only to discard them before the year is even half-way through. Setting things down on paper is easy but actually executing them is the hard part. It takes consistency, discipline and determination to see them through. The key is to set reasonable and attainable goals and make a consistent daily effort to work towards those goals. With determination much can be achieved so lets make 2109 a year of great achievements!